Authentic London pubs don’t come much better than The Fox & Anchor – which happens to be completely original with some boutique rooms above. 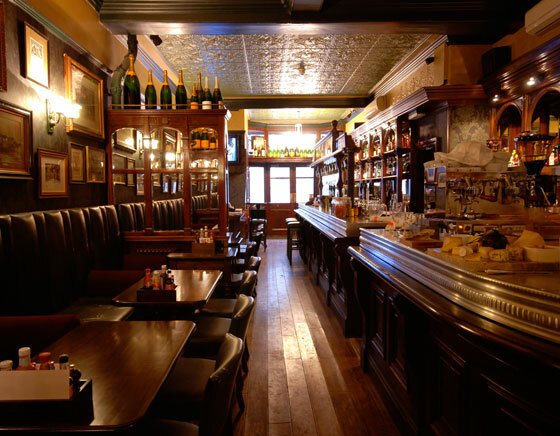 A real treasure, the pub itself is worth a visit, the food is incredible with all the original woodwork, nooks and crannies and decorations that were all found in the attic when the current owners moved in. The Fox & Anchor in Clerkenwell is one of those rarities, a pub that has a stream of regulars as well as those who comes from far and wide to sample the incredible menu, sip on one of the rare ales that being a freehouse allows or to stay in one of the six boutique hotel rooms that set it apart from all the neighbouring watering holes. 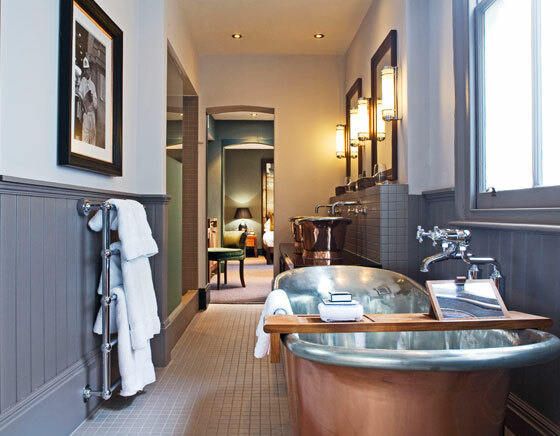 Named after landmarks around the area, The Market, Smithfield, Charterhouse, St. Pauls, St. Barts and Barbican are the suites that have been designed to look original and luxurious as well as having some old furnishings to keep it authentic – standalone baths and old fashioned sinks for example. All the mod cons in the bedroom: a plasma tv, Sky and a DVD player means that if you do have a little too much do drink downstairs, you can pop back to your room for time out. Even if you just book a table in the restaurant, you will find it is the perfect place to drink with friends or to find a secluded cubby hole with your partner to try the rib eye steak and béarnaise sauce, the stilton and apple salad or a traditional chicken & leek pie over a candlelit table. Perfect! 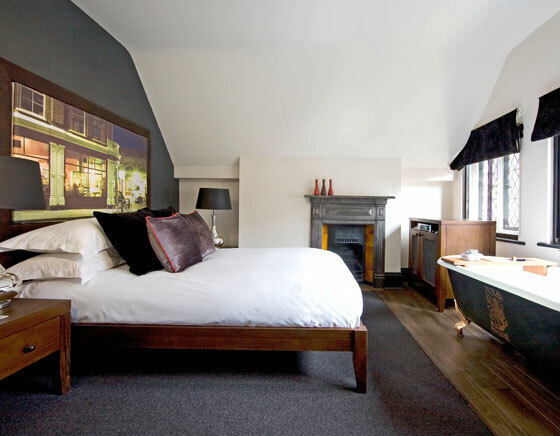 To book a room call 0845 347 0100 or see www.foxandanchor.com for more information.